OtterBox debuts the Commuter Series case for BlackBerry Style 9670 smartphone. The OtterBox Commuter Series provides multilayered protection. First, a silicone jacket with inner coring hugs the smartphone to dissipate shock. Next, a polycarbonate shell snaps around both halves of the smartphone and finally a self-adhering screen protector keeps the display scratch-free. Silicone plugs keep all ports free of dust and dirt while still allowing full functionality of all features. A microfiber cleaning cloth and installation tool are included with every Commuter Series case for smooth application of the screen protector. Cases are available at www.otterbox.com. 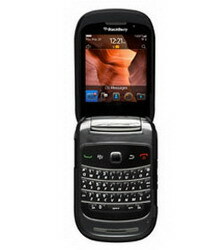 0 comments on "OtterBox Commuter Series case for BlackBerry Style 9670 smartphone released"